The 2018 Porsche 718 Cayman is a champ among sports cars, offering agile performance and intelligent safety systems in spades. Of course, its feats don’t end there; the 718 Cayman interior is a clean-cut, modern marvel. You’ll find racing-inspired comforts and state-of-the-art tech to make every drive more exciting than the last. 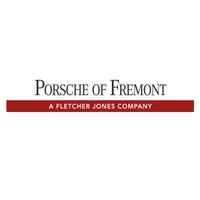 Take a look below to explore some of its offerings, then visit Porsche Fremont near Livermore for a walkaround! The new three-spoke sport steering wheel is inspired by that of the 918 Spyder, and can be fitted with heating and multi-function controls. The 718 Cayman comes equipped with front/rear luggage compartments; the front offers 5.3 cubic feet of space while the rear offers 9.7 cubic feet. Optional Adaptive Sport Seats Plus enhance the fully electric seats of Sport Seats Plus by adding power adjustments to the side bolsters. Porsche Communication Management (PCM)—includes a 7-inch glass touchscreen through which you can place handsfree calls, connect to WiFi, and plan a route through Redwood City or Walnut Creek. Optional Connect Module—connects you to Apple CarPlay, which lets you use certain iPhone functions like Siri and Apple Maps through PCM. Optional Burmester High-End Surround Sound System—plays your favorite tunes through 12 amplifier channels, 12 loudspeakers, and an active subwoofer with a 300-watt class D amplifier. Optional Sport Chrono Package—adds several upgrades to the 718 Cayman, including SPORT Response, which unleashes the power of the engine and transmission full-force for a period of 20 seconds. Step Inside the Porsche 718 Cayman Interior Today! With so many exciting comforts and technologies on offer, it’s no wonder critics rave about the 718 Cayman year after year. Contact Porsche Fremont to explore the Porsche 718 Cayman interior for yourself, or to shop for Porsche 718 Cayman or 718 Cayman S accessories. You can also visit us at 5740 Cushing Parkway in Fremont, CA—a short drive from Palo Alto and San Ramon.